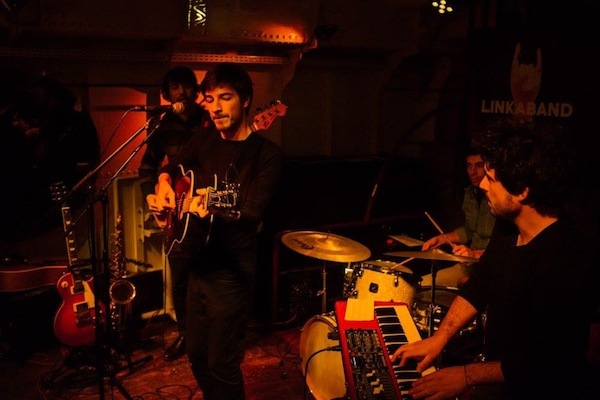 A memory of the Linkaband night (thanks to which we’ll record at Studios Davout!). We won the Linkaband award! 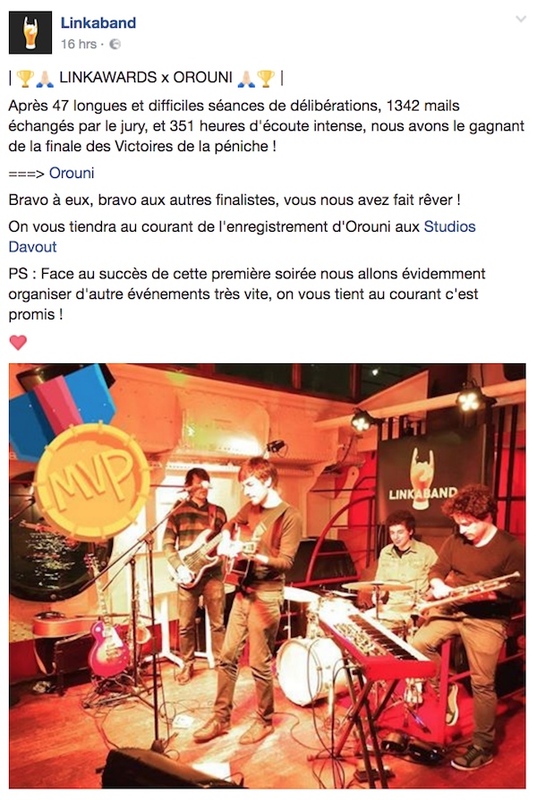 This means we’ll have the opportunity record at Studios Davout (The Rolling Stones, Miles Davis, Lou Reed…)! 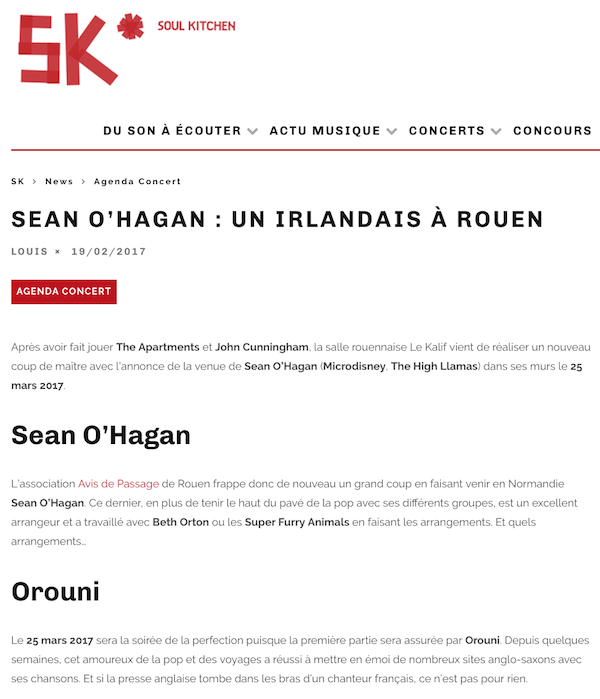 Soul Kitchen wrote a nice presentation of our concert with Sean O’Hagan. 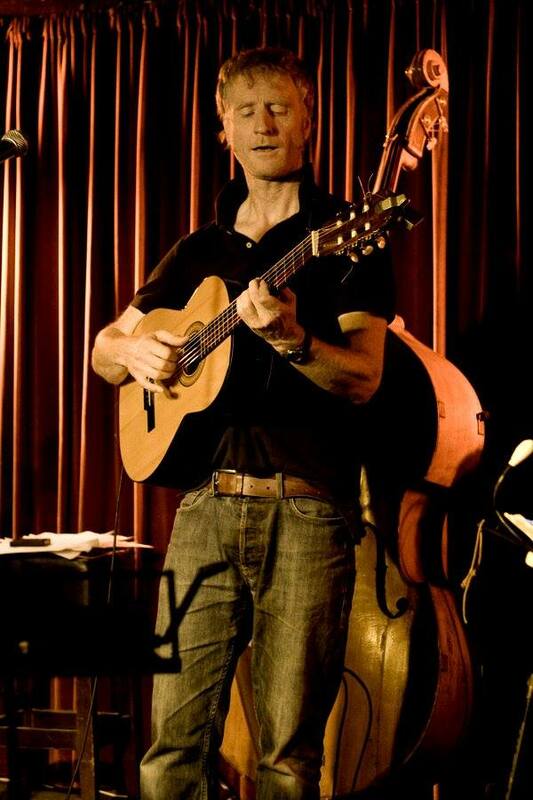 We’ll play a gig at Le Kalif in Rouen on March 25th with Sean O’Hagan (The High Llamas, Stereolab)! 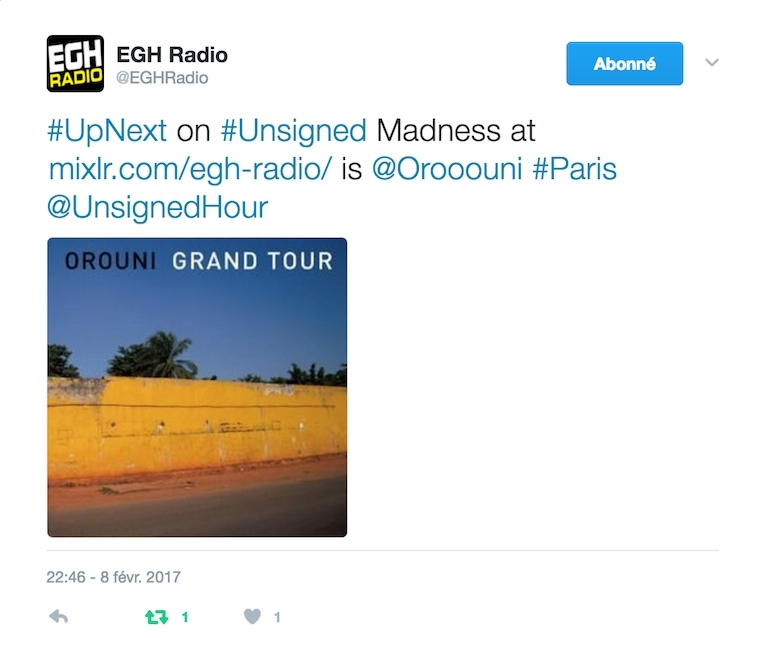 Our new song “Nora” (live @ Sofar Sounds) was played last week on EGH Radio! 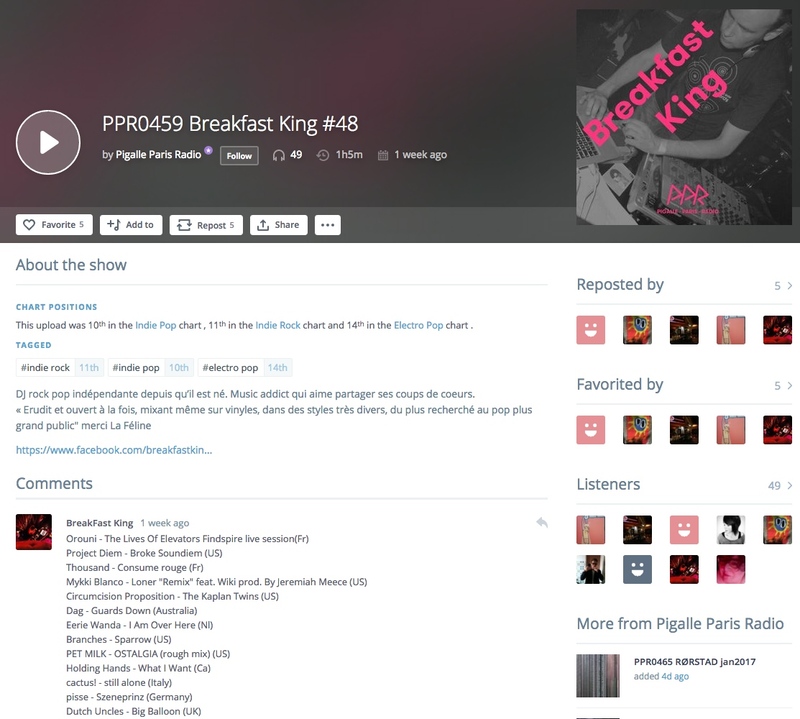 Thanks to Breakfast King DJ for putting our new song “The Lives Of Elevators” (live @ Findspire) in his latest playlist for Paris Pigalle Radio. 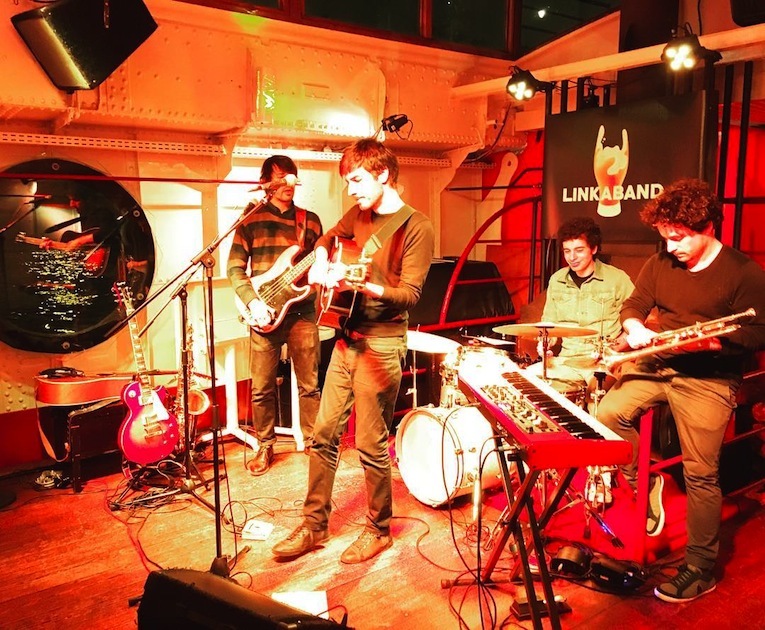 Thanks to those who came to Péniche Le Marcounet yesterday night for the Linkaband night. Cheers to Joseph Cesar, Deltaphone and Thoj. 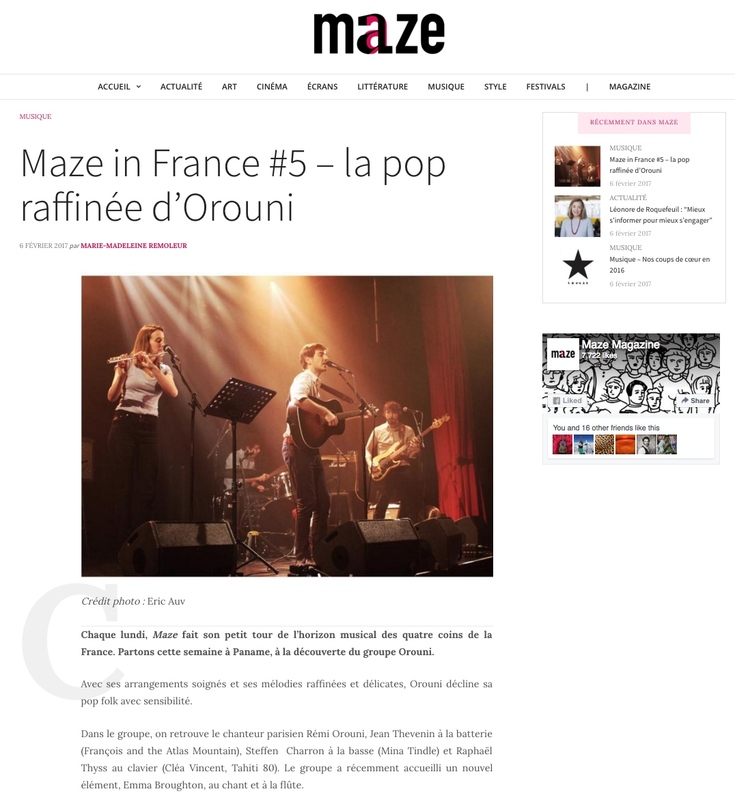 Thank you Maze for including us in France’s bands to watch! 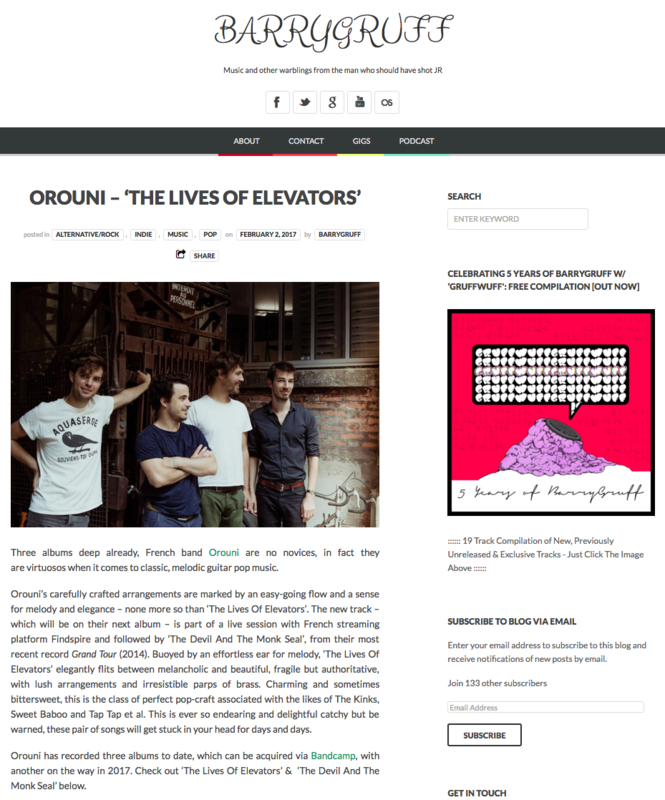 “Orouni’s carefully crafted arrangements are marked by an easy-going flow and a sense for melody and elegance.” – Barry Gruff.